A number of decisions were taken at tonights club meeting. The following were added to the club executive for the coming year, Aiden McLoughlin, Vincent Armstrong, John Moran. The club is happy to announce that Tom Byrne from Kiltimagh is the new Intermediate team manager for 2017. 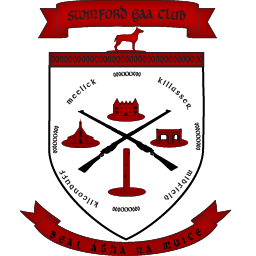 Tom is well known to us in Swinford from his work with Kiltimagh GAA and basketball. Michael Lenihan will be a selector and Shane Campbell will be the Goalkeeping coach and general bagman…..Billy McNicholas will assist with the coaching. The junior team will be under the managment of Tom Feeney and Billy McNicholas. We wish all our managers the best for the upcoming season. Club Registration 2017 for ages Under 6 to Under 14 is Saturday 28th January 11am to 1pm in The Gateway Hotel. Fees have been retained at 2016 levels: One child €40, Two children €70, Three or more children €100. We are all looking forward to an enjoyable 2017.